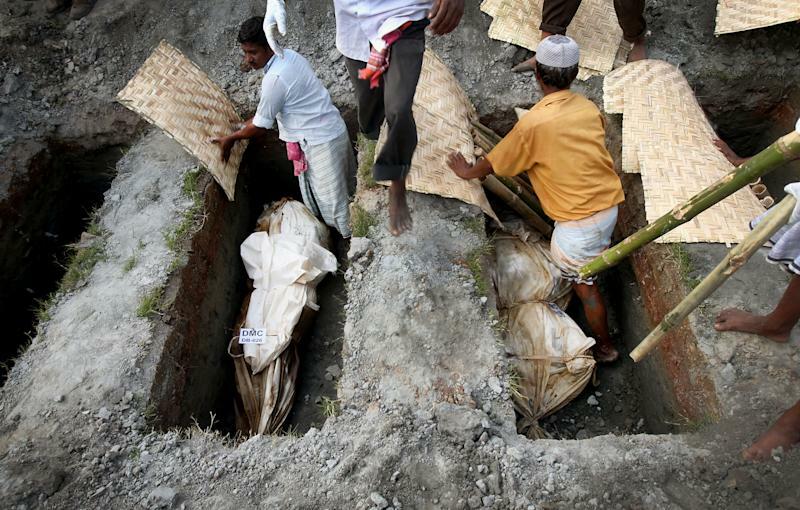 JURAIN, Bangladesh (AP) — Dozens of Bangladeshi garment workers whose bodies were too battered or decomposed to be identified were buried in a mass funeral, a week after the eight-story building they worked in collapsed, killing more than 400 people and injuring thousands. Hundreds attended the traditional Muslim funeral and many more watched from the roofs of nearby buildings Wednesday as the bodies, rotting in the spring heat, were brought to the graveyard on the back of flatbed trucks. Onlookers covered their noses. One woman rushed through the crowd to the back of a truck wailing that one body was her sister's. She begged to take it as family members held her to keep her from collapsing. Local men and boys recited a prayer for the dead. Then, 34 bodies were unloaded and placed in the graves. Cemetery workers have dug several long rows of graves where scores more unidentified bodies are expected to be buried in the coming days. Police said Thursday morning that 10 more bodies were recovered overnight, bringing the death toll to 420. Rescue workers believe many more bodies are still buried on the ground level of the building. They said it could take another five days to clear tons of rubble with cranes and cutting machines. "I would not have to take part in this if the government acted more responsibly," said Rasel Islam, a 32-year-old man who attended the burial. Five garment factories were housed in the illegally constructed Rana Plaza building that collapsed April 24. The disaster and a garment factory fire five months earlier that killed 112 people exposed the unsafe conditions plaguing Bangladesh's $20 billion-a-year garment industry that supplies many global retailers. At the Vatican, Pope Francis said he was shocked that some of the workers were living on 38 euros ($50) a month. "This was the payment of these people who have died ... and this is called 'slave labor,'" he said. Vatican Radio said the pope made the remarks during a private Mass at the Vatican. "Not paying a just (wage), not providing work, focusing exclusively on the balance books, on financial statements, only looking at making personal profit. That goes against God!" Francis was quoted as saying. He added: "People are less important than the things that give profit to those who have political, social, economic power. What point have we come to? 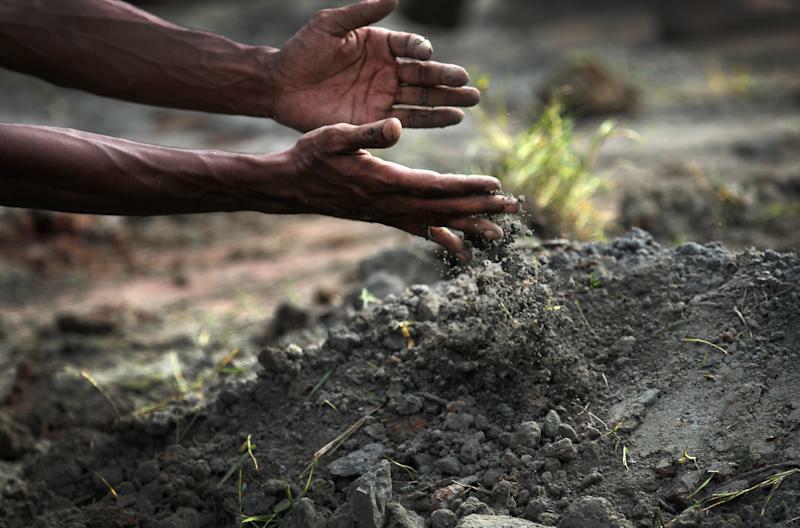 To the point that we are not aware of this dignity of the person; this dignity of labor." EU officials said they are considering action including changes to Bangladesh's duty-free and quota-free access to the giant EU market to "incentivize" responsible management of the nation's garment industry. Catherine Ashton, the EU's foreign affairs chief, and its trade commissioner, Karel De Gucht, called in a statement for Bangladesh authorities to act immediately to ensure factories comply with international labor standards. 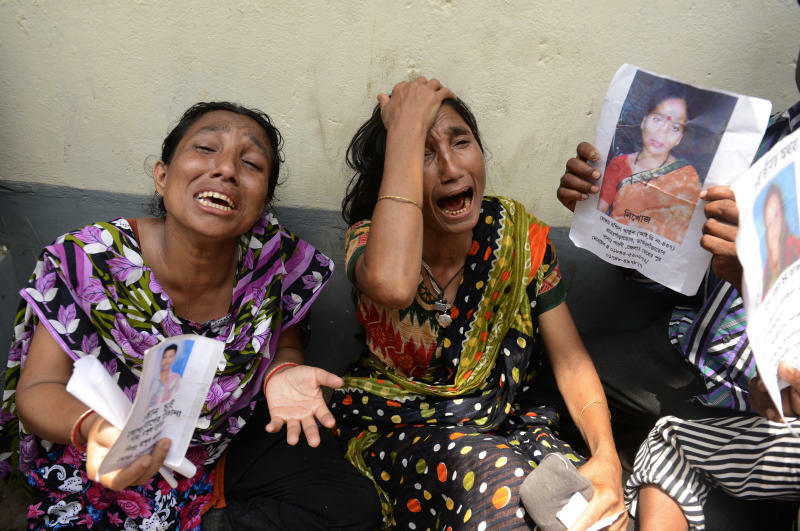 In Washington, U.S. State Department spokesman Patrick Ventrell said businesses operating in the Rana Plaza appeared to have links to numerous companies in the U.S. and Europe. "We'll continue to engage with U.S. companies to discuss what role they can play in improving conditions," he told reporters. He did not give details on the companies. Pressure built inside Bangladesh as well, as a raucous May Day procession of workers on foot, pickup trucks and motorcycles wound its way through central Dhaka demanding safe working conditions and capital punishment for the building's owner. They waved the national flag and banners, beat drums and chanted "Direct action!" and "Death penalty!" From a loudspeaker on the back of a truck, a participant spoke for the group: "My brother has died. My sister has died. Their blood will not be valueless." Some confusion remains over how many people are missing. Zillur Rahman Chowdhury, a Dhaka district administrator, said so far 149 people have been listed missing. A police official, Aminur Rahman, said police have recorded up to 1,300 names as missing, but he cautioned that many may be duplicates. "We will now have to screen the names by computer to find the actual number," he said. The owner of the building, Mohammed Sohel Rana, is under arrest and expected to be charged with negligence, illegal construction and forcing workers to join work, which is punishable by a maximum of seven years in jail. Authorities have not said if more serious crimes will be added. Protesters demanded capital punishment for Rana, 38, a small-time political operative with the ruling Awami League party. "I want the death penalty for the owner of the building. We want regular salaries, raises and absolutely we want better safety in our factories," said Mongidul Islam Rana, 18, who works in a different garment factory. The Bangladesh High Court has ordered the government to confiscate Rana's property and freeze the assets of the owners of the factories in Rana Plaza so the money can be used to pay the salaries of their workers. Rana had permission to build five stories but added three more illegally. When huge cracks appeared in the building a day before its collapse, police ordered an evacuation, but Rana told tenants it was safe. The next day, a bank and some shops refused to open but factory managers told their workers to go back in. Hours later the building came down in a heap of concrete. Among the garment makers in the building were Phantom Apparels, Phantom Tac, Ether Tex, New Wave Style and New Wave Bottoms. Altogether, they produced several million shirts, pants and other garments a year.